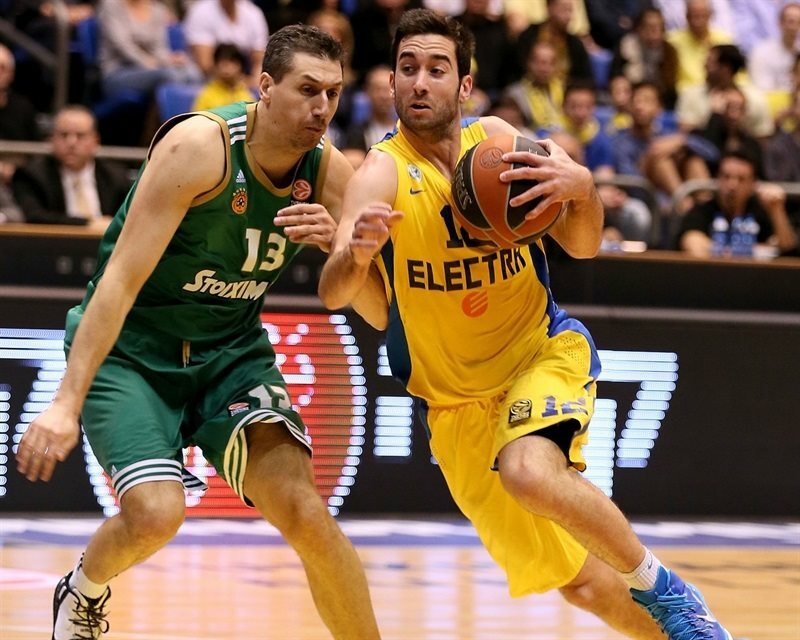 Maccabi Electra Tel Aviv held on for a 73-70 victory over rival Panathinaikos Athens at Menora Mivtachim Arena. The result broke a tie between the teams for second place in Group E; Maccabi improved to 6-2, while Panathinaikos fell to 5-3. 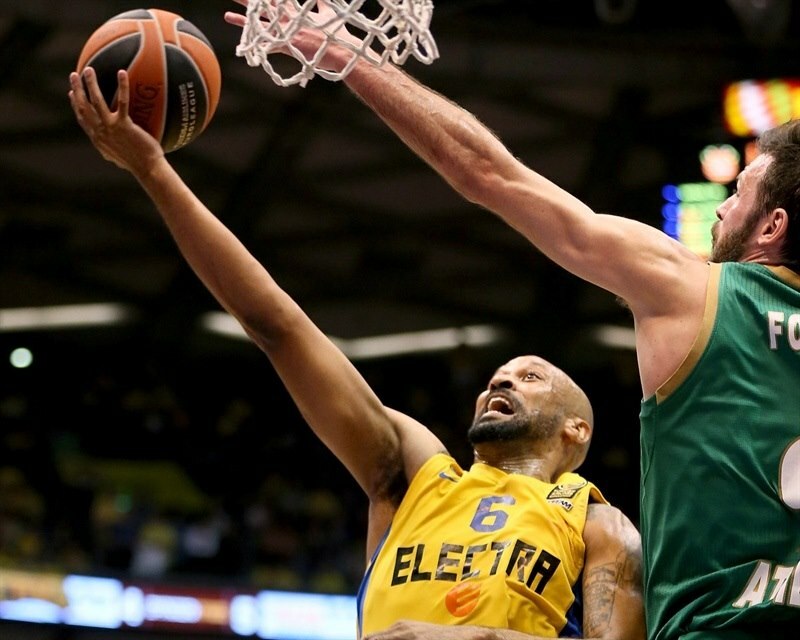 The Greens, who beat Maccabi by 7 in Athens in the Top 16 opener, protected that difference to earn a tiebreak advantage should the teams be tied at the end of the Top 16. 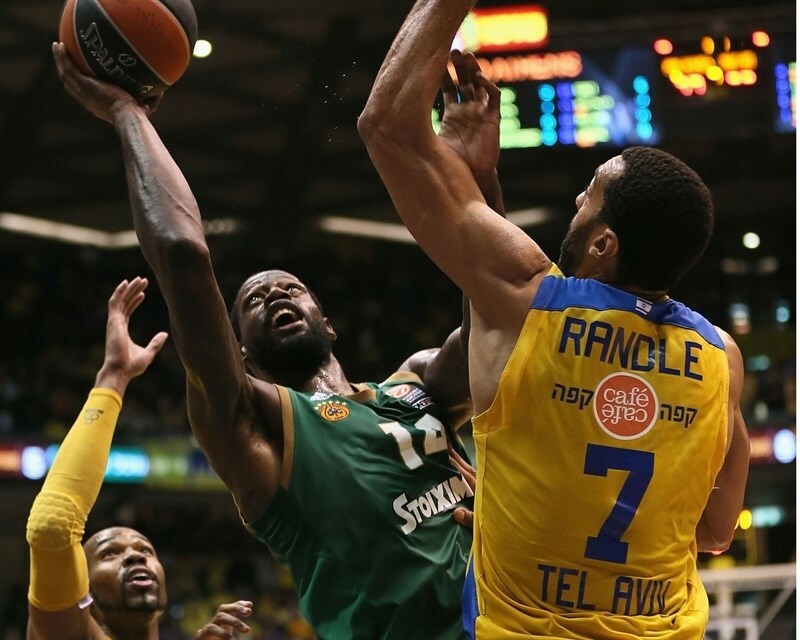 The game was closely contested throughout; Panathinaikos drew within 1 twice in the fourth quarter, but Maccabi held on and sealed the win with late free throws from Jeremy Pargo and Joe Alexander. Pargo led the champs with 16 points, while Alex Tyus, Yogev Ohayon and Alexander each scored 10. Nate Linhart added 10 rebounds and 3 steals. Vlantimir Giankovits scored 16 for Panathinaikos, Nikos Pappas had 15 and James Gist 12. 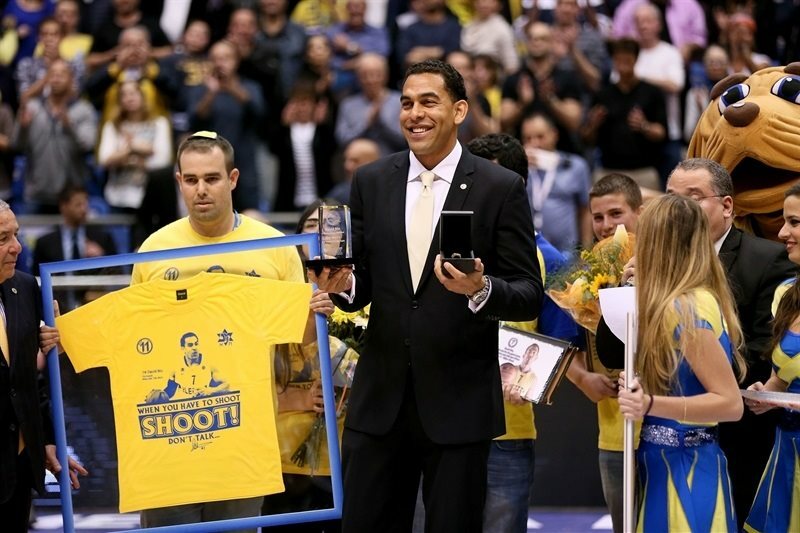 Former Maccabi player and two-time Euroleague champ David Blu was honored during the game and inducted in the Maccabi Tel Aviv Hall of Fame. Pargo got to the line for the first point of the game. Giankovits’s second-chance basket gave the Greens their first lead. Pargo hit a jumper over Gist as the 24-second clock sounded. A.J. Slaughter sank a jumper at the other end. Dimitris Diamantidis rejected Ohayon on a drive, but Devin Smith soon scored from behind the arc. 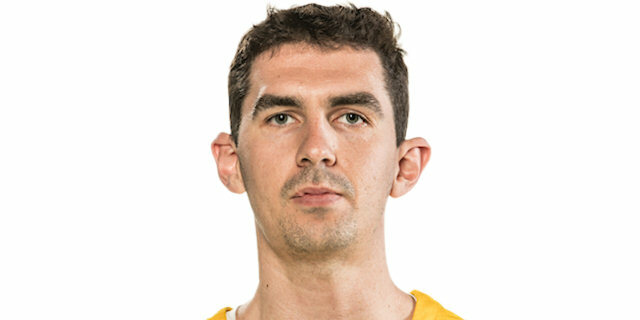 Diamantidis assisted Esteban Batista on a layup to tie the game at 6-6. Gist threw down a two-handed jam, but Tyus drove and dunked on the next play. Nate Linhart took advantage of a Panathinaikos turnover and drove for a slam. 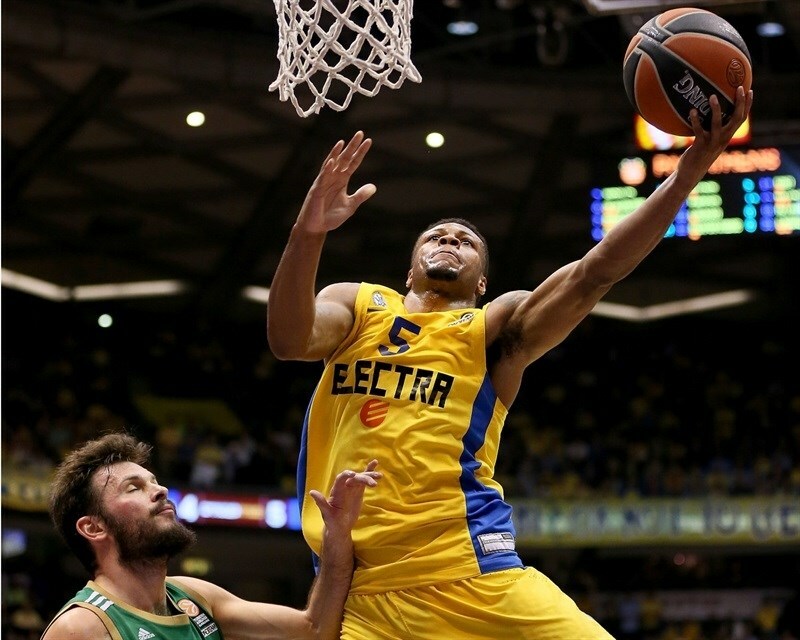 Brian Randle’s block of Loukas Mavrokefalides led to a Maccabi fast break that MarQuez Haynes finished with a slam. Alexander banked in a shot to cap an 8-0 run. 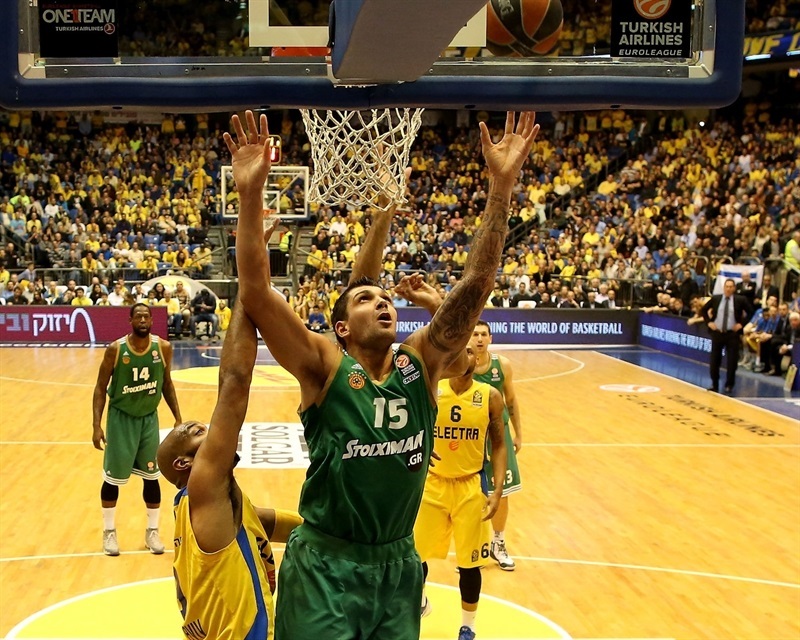 Diamantidis revived Panathinaikos with a three and Pappas free throws cut the cap to 14-13. 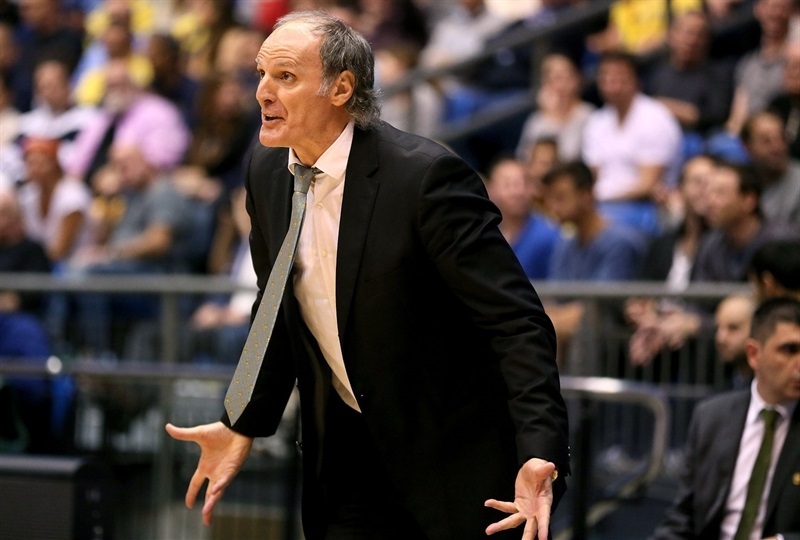 Gist completed a 0-8 Panathinaikos run with a three-point play, which also sent Randle to the bench with 2 fouls. Alexander tied the game at 16-16. After Gist split free throws, Jake Cohen played the pick-and-roll with Haynes and converted a three-point play. Cohen drilled a three to end the quarter at 22-17. Ohayon drove for a tough layup and then found Tyus for an alley-oop layup to finish a 10-0 run. 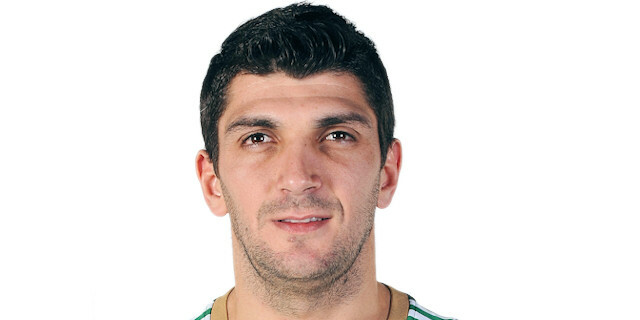 Antonis Fotsis ended a four-minute scoring drought for Panathinaikos with a fast break layup. Randle dunked in transition to keep the champs in control. Pappas pulled up for a baseline jumper, but Randle turned a steal into an easy score for Cohen and a 30-21 lead. Pappas connected twice from downtown – Tyus sank free throws in between – to bring the Greens within 5. Pargo found Tyus for an alley-oop slam and Randle got a fortunate roll on a basket plus foul. Pargo attacked the rim to give Maccabi a double-digit lead. Diamantidis blocked Pargo and Giankovits scored from behind the arc to bring the visitors within 38-30 at the break. Giankovits and Pargo traded threes in the first two minutes of the second half. Giankovits’s fourth three of the game drew the Greens within 5 points. Diamantidis’s jumper made it 41-38. Tyus scored from the line, but Diamantidis bettered him with a three to make it 43-41 midway through the quarter. Linhart and Gist traded baskets. 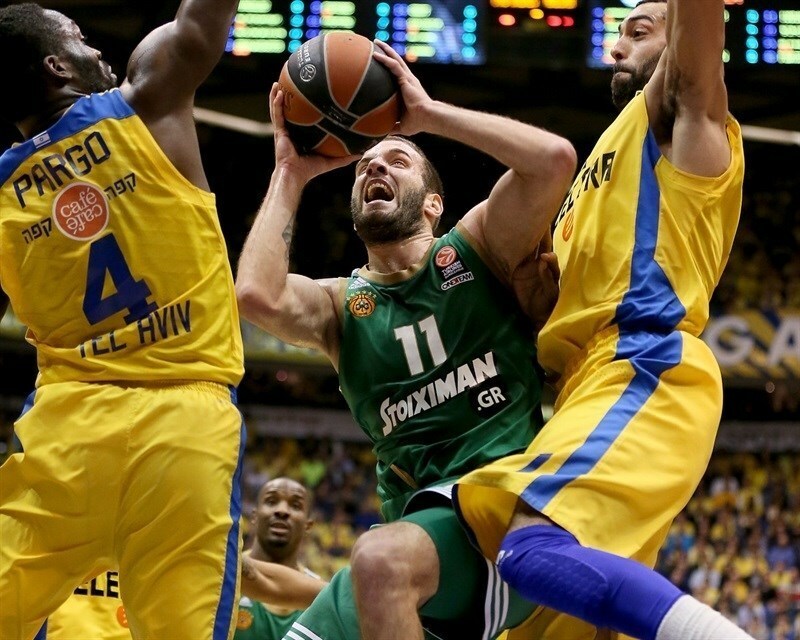 Panathinaikos missed shots to take the lead and Pargo converted a three-point play at the other end. Slaughter beat the shot clock with a tough three and Alexander finished with a slam at the other end. 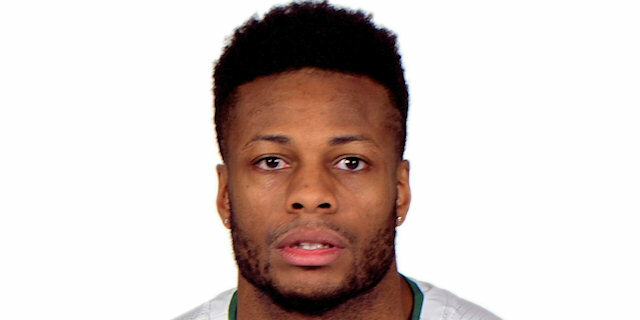 Pargo put on a show with a basket on Diamantidis. Pappas put together a three-point play only to see Ohayon answer with a basket-plus-foul. Pappas fought hard for an offensive rebound and turned it into a three that ended the quarter at 54-52. Randle’s offensive rebound led to an Ohayon triple, but Fotsis answered in kind. Smith grabbed an offensive rebound and found Alexander for a slam. Eleftherios Bochoridis drilled a three to make it 59-58. Ohayon waited a minute before responding with a three. Smith then put back Haynes’s miss on the break to give the hosts a 6-point cushion with five minutes remaining. After a timeout Giankovits muscled his way to a basket and Fotsis’s triple made it 64-63. Smith swooped in for a layup to keep the champs in front. Randle scored inside, but Gist matched him. Pargo came up with a steal and split free throws with 2:07 remaining to put Maccabi ahead 69-65. Diamantidis split free throws to make it a one-possession game. Alexander shined with key rebounds at both ends. He sank free throws with 1:02 left for a 5-point lead. Gist free throws made it 71-68 with 20.2 seconds left. Pargo’s free throws with 14.9 seconds left iced the game. "It was a very important home win. It was a difficult and aggressive game and it wasn’t the most beautiful game to the eye. In the first half we managed to keep Panathinaikos to 30 points and in the second half we were able to stop some of their three-point attempts. Before the game our aim was to win. It is not easy to come and win after playing in the cup final [on Sunday] and bring extra energy. But the guys really came out and fought. We are always aiming to collect wins, and here we collected an important win on the way to our main goal and I am happy for everyone." 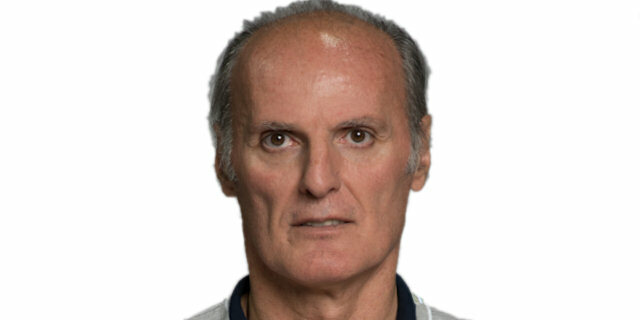 "Before the game we spoke about two things that are very important if you play against Maccabi. First you must stop the transition, where they are excellent, and second you need patience. We didn’t do these two things. 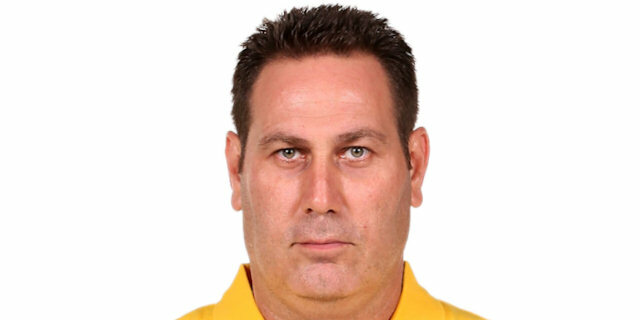 In the first half Maccabi played with more intensity than us. In the second half we played better. 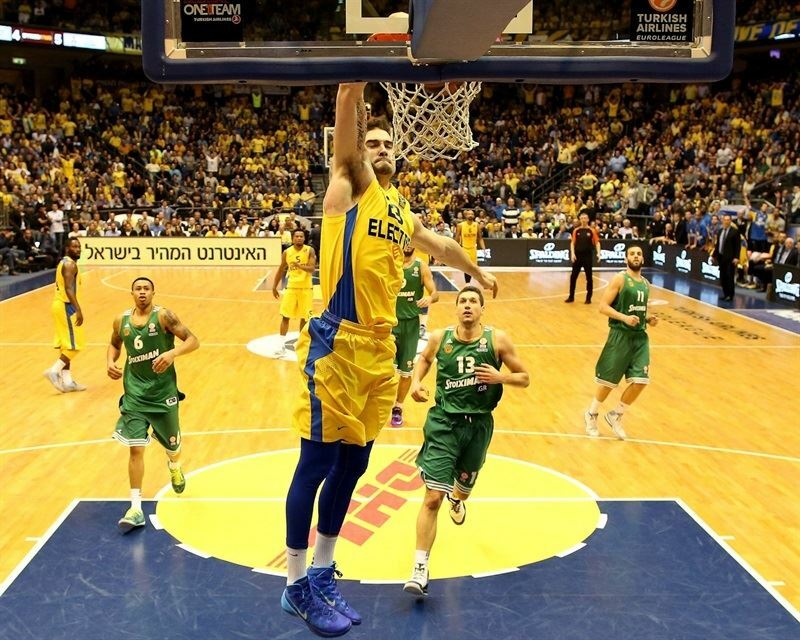 But in the last ten minutes Maccabi took 10 defensive rebounds. I think every game is very important, but starting with Barcelona, after this we have six finals. " “I wanted to be aggressive. I got open looks and I took it. I got a few nice passes from Marquez [Haynes] and I was able to finish. It’s always exciting when you get a chance to contribute and put the ball in the basket. It was a tough game for both teams. We knew they would come ready to fight. They are a tough team and so are we. So you saw that. It wasn’t the prettiest game from both teams. We were just able to tough it out, keep our head down, and we just kind of powered through it and got the big baskets when it counted." “It was a very physical game, with low scoring. But you have to be able to win the fast-paced ones and you’ve got to be able to win the slower ones. So we did a good job; we found a way. I struggled shooting a little bit, I felt there was some contact on some of them. But I felt good. I felt I affected the game well, just doing what I could to help us win. I was trying to make good passes, extra passes. We have been doing a good job. This is a building process and we are heading in the right direction." “I think we had the chance to take the win, but in some moments we were not so focused to take advantage. We missed many offensive rebounds and I think that was one of the keys. They played very hard and for some moments we didn’t. It felt good to play here. I have good memories about this arena but now I am on the other side. It is a very tough group. Everybody is very strong and everybody can beat everybody. ALBA beat Maccabi here and we beat ALBA in Berlin. So I think if you are not ready, everybody can beat everybody. I hope we will pass [to the playoffs]. We have a good chance and we have to keep playing in a good way. "